I work at the Cherokee Heritage Center in Tahlequah, Ok. 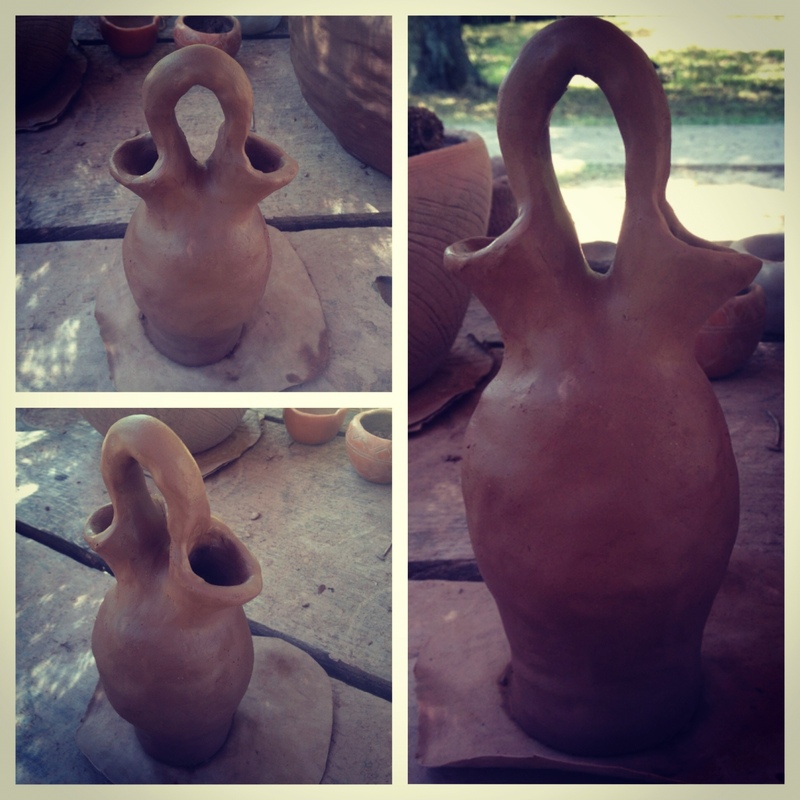 I work in the ancient village as the potter. The Oklahoma Arts Council gave us funding for two master artists. 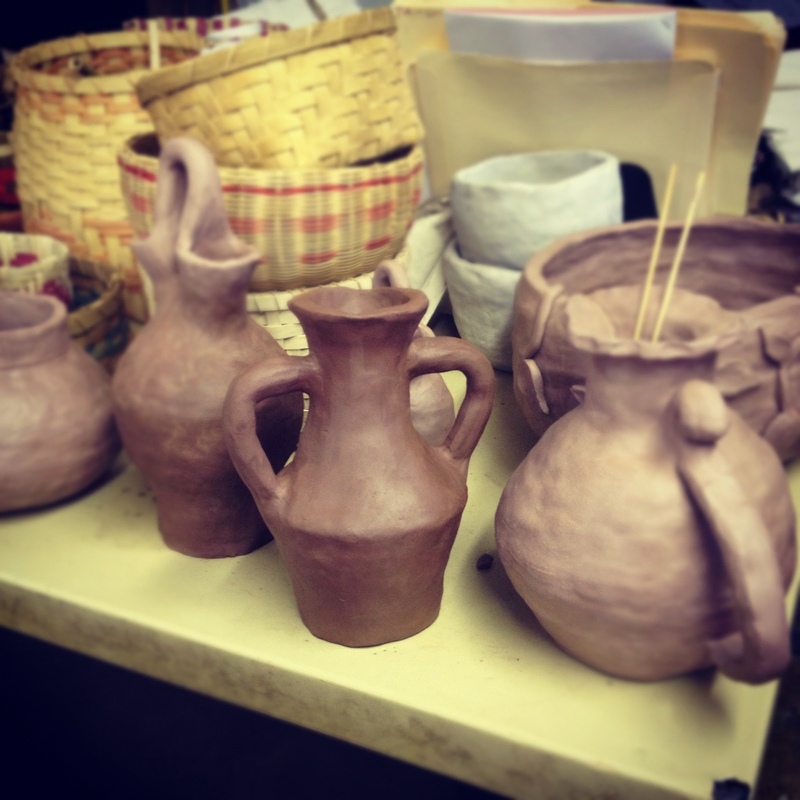 Janelle Adair was hired as a storyteller and I was hired to demonstrate pottery. 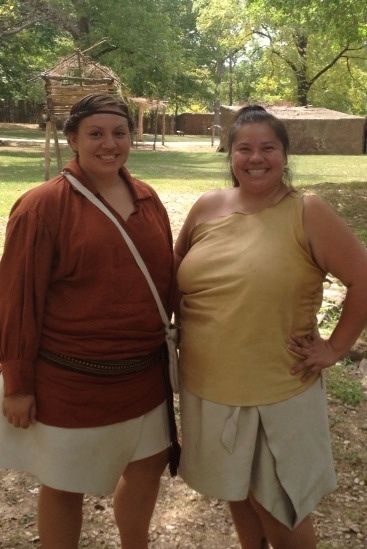 Here is a picture of the two of us in our village attire. I normally only make pottery and tell the visitors about cherokee pottery as they stop by my station on a tour. This is some of my pottery. However, I recently started taking tours. My first “actual” tour was yesterday and I had the honor of guiding a group of Kickapoo through our ancient village. The tour normally takes 40 minutes but ours was over two hours. There were some of the visitors that didn’t speak English so they had to have a Kickapoo translator. It was such an awesome group of people. There was one elder who I could tell didn’t speak English. He was so attentive and focused on my speaking even though he was listening to the translator. I like to give gifts and I just felt like I needed to give this sweet old man a piece of my pottery. I picked my favorite piece, which is a Cherokee wedding vase. I later found out that he was their spiritual leader, very cool! These guys were up here looking at our immersion school. They want to start their own based on their ceremonial calendar to keep their traditions alive. It was truly an awesome feeling meeting these people. I am very blessed. 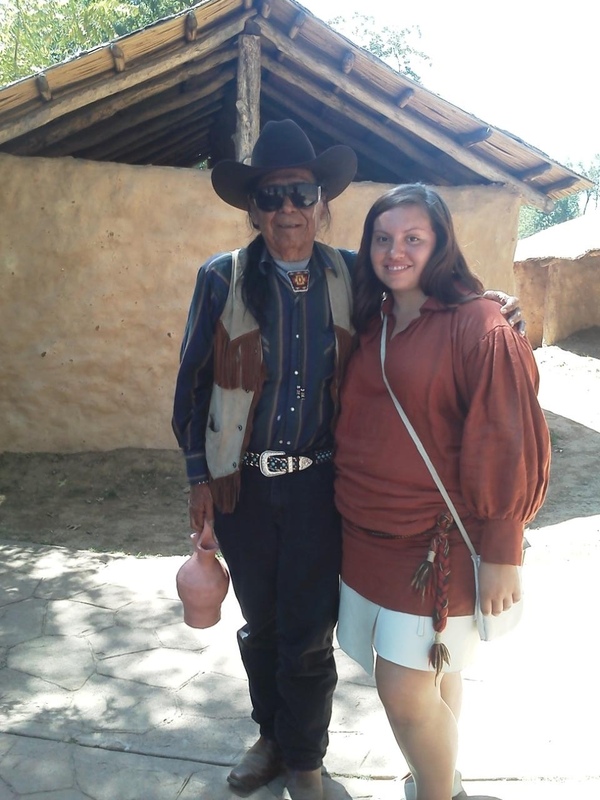 This entry was posted in my thoughts and tagged Cherokee, Kickapoo, pottery, tourism. Bookmark the permalink.